SOUTH African president, Jacob Zuma, lauded the redraft of the country’s Mining Charter saying it was necessary to “ignite” the economy and bring change to ownership patterns. “I believe in what the minister [mines minister, Mosebenzi Zwane] has done. We said we need to do something to change the economy and ignite it,” Zuma was quoted in a BusinessLive article to have said. “We could not stay at the same place particularly with mining … We have not seen visible change … We need to change ownership and open it up to those who have never participated,” he said. Zuma was responding to questions in the National Assembly. The mining industry responded with shock following publication of the Mining Charter on June 15 in set targets it believed were unworkable whilst legal experts say the document does not pass muster. 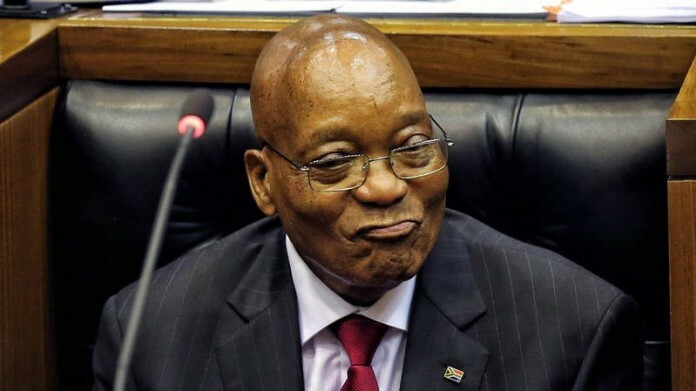 On a day in which Eskom unveiled its latest CEO (acting) appointment in Johnny Dladla – a former employee of mining giant, BHP Billiton – Zuma also announced a judicial commission of inquiry into allegations of state capture in which the electricity utility is closely involved. “We have taken the decision to establish a judicial commission of inquiry,” said Zuma. “We are moving as fast as possible on this matter,” he said. Commenting on the appointment of Dladla, Eskom acting board chairman, Zethembe Khoza, said in a statement: “Dladla is a seasoned business leader with impeccable credentials”. Dladla has worked at Eskom for 22 years of which five years were as CEO of Eskom Enterprises and its subsidiaries. Dladla has a background in marketing. You want change? You will see change… You will see an industry with huge potential to empower people of all races, especially young people, disappear and within 5 years. On a comparison of 30 countries for mining, SA measures as the worst in terms of ROE. When Zupta says he wants to ignite the economy, actually he means he wants to Burn it down for the benefit of his Raja Baja buddies and the Dubai bank account of his Son.